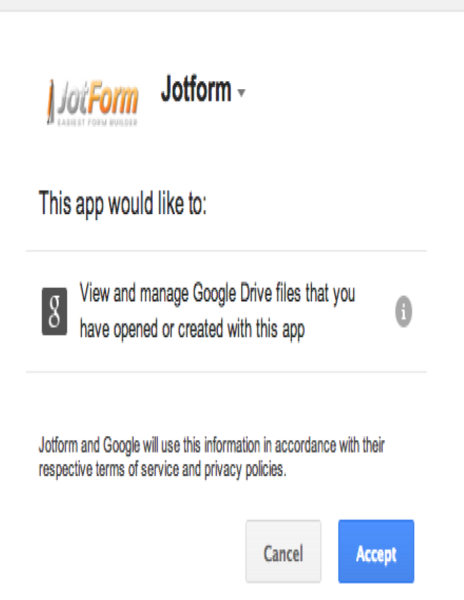 JotForm Google Drive will help you create forms from your Google Drive account. 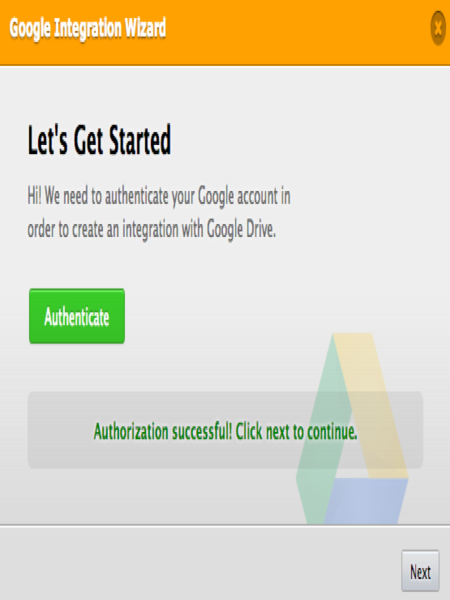 This way you won't have any reason to leave Google Drive and create forms at the same time. Very Good. I Like this App. 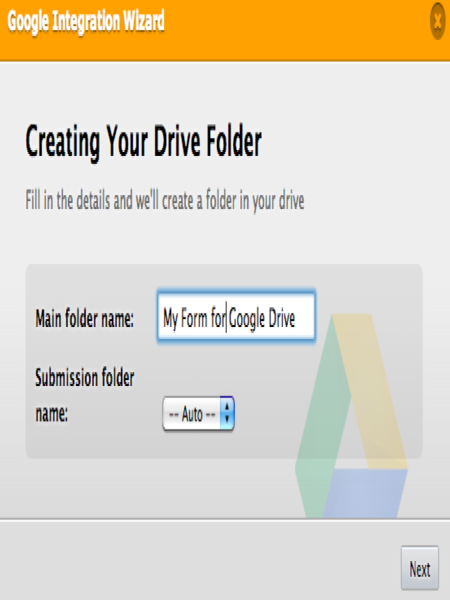 But, when I insert my form in Google Site, this do not Loading. 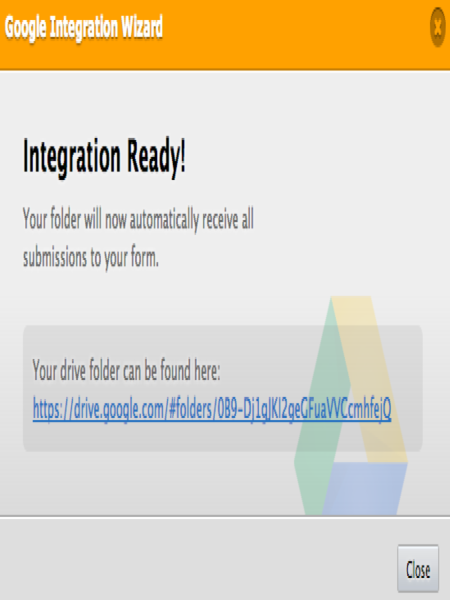 But, I can insert with iframe gadget. Thank You. Me Sirve bastante, ya que que uso mucho los productos de Google, Gracias. 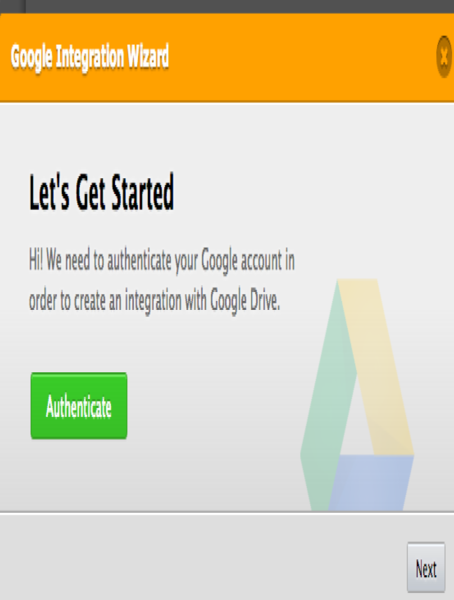 Not as advertised, you cannot browse or select a template from Google Drive. 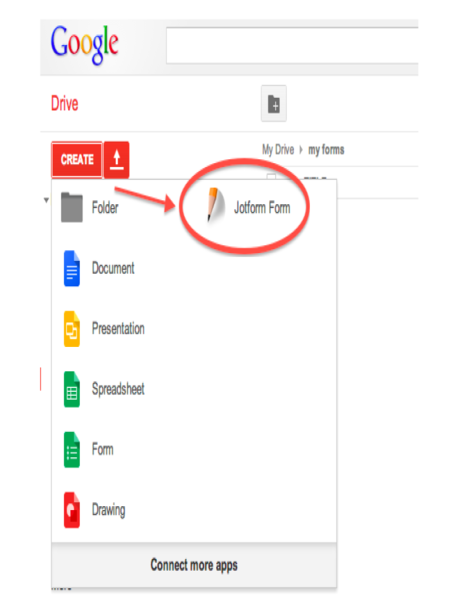 It will only allow you to create a blank form.